Home / auto / automotive / car reviews / cars / motorbike reviews / motorbikes / motorcycle / Letter From The UK: What Happens To Our Car Industry Now? The Brexit debate continues with more questions than answers. Threats of tariffs loom for an industry already experiencing a slowdown. Over the last few days, the British public has watched open-mouthed at the antics of their elected representatives in the UK parliament. With just a couple of weeks to go before our nation leaves BY LAW (unless the government passes new legislation or comes to some form of agreement in the meantime), the unseemly meleé over Brexit among both government and opposition political parties makes you wonder about the future of democracy itself in Great Britain. The weak vacillation, the posturing and, yes, the lying has had a devastating effect on industry; generally and specifically on our car manufacturers who simply have no idea which way to turn. Right now, thanks to European free trade, cars and component parts move freely in both directions, but what happens if borders start to impose tariffs which could be the case in the event of ‘no deal’ Brexit departure. Our motor industry has been consistent and united in the view that a ‘no deal’ Brexit would have a devastating impact on the sector, and the hundreds of thousands of jobs it supports. Some commentators argue that it will be all right in the end, but it probably won’t. Some say the car industry shouldn’t worry about leaving the EU with ‘no deal,’ yet the reality is that leaving without a deal with our European partners would trigger the most seismic shift in trading conditions UK car manufacturing has ever experienced. As the situation stands right now, literally overnight, it would be hit by an immediate end to free and frictionless trade with its biggest market, an end to being partners in preferential negotiated EU trade with a further 70 countries worldwide, the imposition of billions of pounds of tariffs and severe disruption to supply chains and production. That’s the Ground Zero prediction. Already, the past two years have seen a significant drop in investment, car sales, and manufacturing; each driving the industry off course to meet its production target of two million cars by 2020. This is a cyclical sector and other issues are also undermining global growth; falling sales of diesel engine vehicles and the shaky Chinese car market for example, but companies surveyed over time have said that Brexit was costing jobs and competitiveness. It’s their industry; they should know. 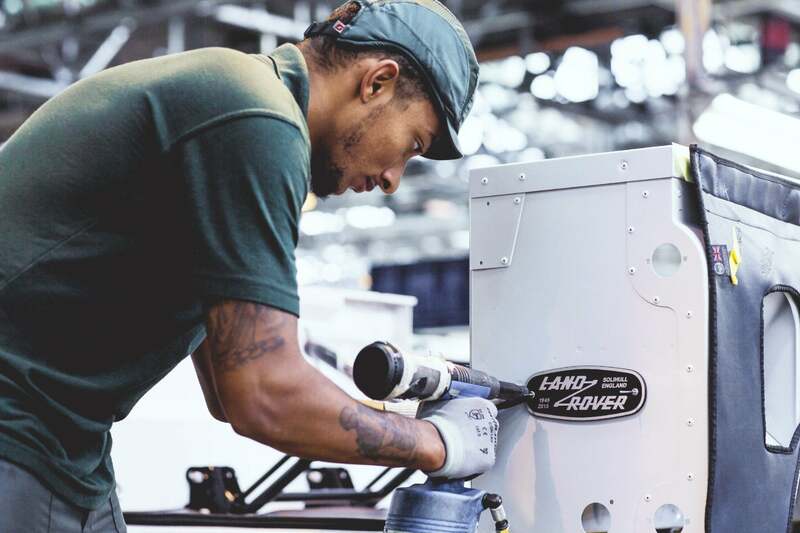 A technician works the line at the Jaguar Land Rover Solihull plant in Lode Lane, Solihull, England. Photo: Jaguar Land Rover. Only twelve percent of cars sold here in the UK are built here. We export more than 80 percent of the cars we produce, with two-thirds of these sold in the EU and markets such as Canada, Japan, South Korea, and Turkey with which the EU has those preferential trade agreements. Tariffs would disadvantage UK car manufacturers in all of these markets. It is widely believed that as our car industry would no longer be governed by euro-rules, a ‘no deal’ Brexit will help reduce car prices and increase choice for the consumer. Conceivably, this might be possible but, like walking into a dark and foreboding forest, you never know what might be behind the trees. Unless the UK reaches agreement with the EU, tariffs may very well increase. After all, consumer choice depends on profitability and importers to the UK already have to engineer cars for right-hand drive, which is a significant added cost in itself. If prices rise, the market will contract, further squeezing margins and causing consumer choice to shrink. The German car industry for example sells 750,000 cars in the UK; clearly it will want to protect its own interests. Both the Germans and the rest of the car manufacturing countries have been clear: the single market matters more to them than a deal with the UK. 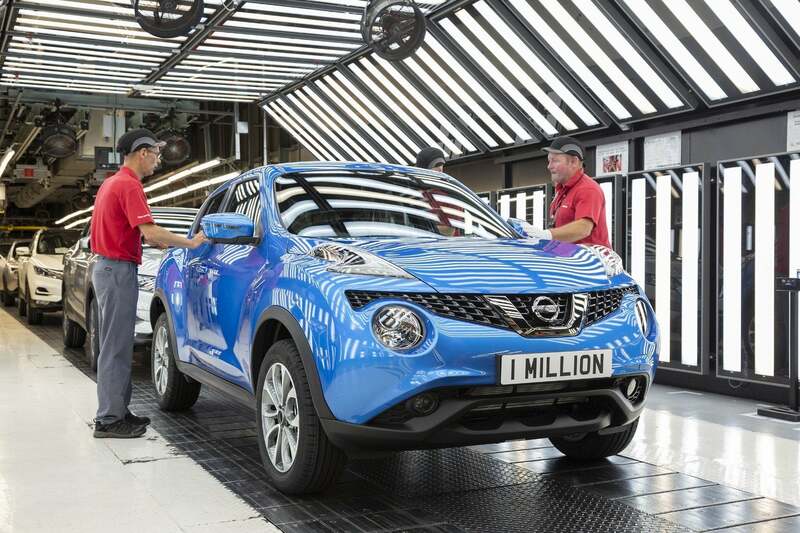 Last year, the Nissan Juke became the fourth Sunderland-built model to hit one million units. On average, a Juke is built at Nissan’s UK plant every 105 seconds. Photo: Nissan Motor Company Ltd.
Related: Is the UK car industry about to fall off the cliff? Of course, as is often the way with politicians, it is quite possible that an amicable agreement will miraculously appear, like a genie out of a lamp. It might be that exceptions and accommodations can be made which override the issues. Why would anyone in their right mind jeopardise the future of the car industry across Europe and the UK? It seems unconscionable, but then of course we are dealing with political ideology and their dodgy proponents in which case it is usually the population that suffers the consequences.